Two beer companies are poised for liquid supremacy in a dry Indian state. Gujarat is poised to become one of the biggest markets for alcohol-free beer. It is an Indian state where alcohol making, selling, and drinking have not been allowed since 1960. Nevertheless, it became the target of the two largest beer-making companies in India. What made United Breweries and Anheuser-Busch InBev so interested in this dry state? It turned out that these brewers are about to bring non-alcoholic beer to Gujarat’s market. According to Ramesh Viswanathan, a chief of United Breweries, Gujarat’s market is a new opportunity for non-alcoholic beer makers. As the alcoholic drinks are forbidden in the state, the demand for diverse alcohol-free drinks is quite high. So far this kind of beverages was presented to Gujarat’s market only by traders and importers. It made the product expensive and not widely spread. The imported drinks also had a beer taste which was not very appealing to the customers. At the same time, Gujarat’s people are interested in non-alcoholic drinks. Kingfisher Radler, the product of the United Breweries, has already been test-launched rather successfully in Gujarat and Karnataka. What Makes Non-Alcoholic Beer So Appealing? 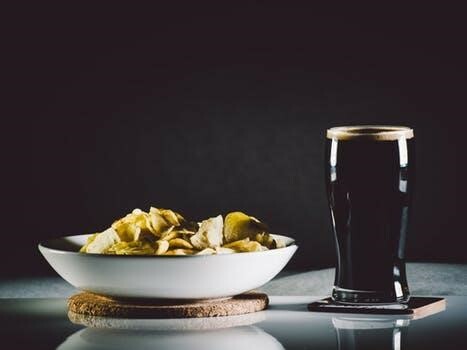 While ordinary beer has from 1.2 to 8 percent of alcohol by volume, an alcohol-free beer contains about 0.05 percent of alcohol or even less. According to the United Breweries, their product is alcohol-free. The brewers also state that their drink is based on barley malts and natural lemon juice. Although offering a non-alcoholic beer to a dry state seems to be a fresh idea, it is not new on the market. Suntory All Free beer launched in Japan became quite popular among office workers. It even won a gold medal in the 2017 NY International Beer Competition. This non-alcoholic beer that contains zero calories is sold in glass bottles and cans. Apart from being one of the favorite drinks of office workers, it is also offered as an after-sport drink. Although the product is still called “beer”, culturally it functions more as a soft drink. At the same time, the distributors claim that their drink does smell and taste like a beer. As for Indian distributors of alcohol-free beer, it seems that they have big plans for sales in Gujarat. The brewer of Kingfisher, Heineken, and London Pilsner is going to launch plenty of alcohol-free beer in Gujarat. The president of Anheuser-Busch InBev also announced an up-coming zero-alcohol beer launching in the nearest future. According to the brewers, the Indian consumer base is the second largest in the world. The beer-makers intend to make their product more popular trying to satisfy the diverse tastes of Indians. AB InBev, the seller of Budweiser, Hoegaarden, and Beck’s, admits that their goal is to get 20 percent of total sales by 2025. Currently, they have about 8 percent. In order to achieve this goal, the company might even open beer pub chains in Gujarat. The beer outlets are also likely to be opened if more than a dozen of alcohol-free beer brands will appear on Gujarat’s market. Gujarat has all the chances to become a large market for zero-alcohol beer. While the beer-making companies are about to start their campaigns in this dry state, it is only possible to guess whether it will be successful.